In the March/April issue ofIAEI News, I discussed what I think is the most important change coming in the 2007 edition of the National Electrical Safety Code. That change is the addition of a third loading requirement, extreme ice and concurrent wind, to the strength and loading sections of the NESC. What is considered important to one utility may not be important to another. For example, utilities that do not have structures (poles) taller than 60 feet in height, will find the extreme ice and concurrent wind change to be of very little importance because it applies only to structures taller than 60 feet. In my effort to identify the significant changes, I have tried to look at the changes from an industry prospective. Of the hundreds of changes in the 2007 edition, over half are what I call clarifications. These changes came about because the members of the NESC subcommittees recognized that some users of the NESC do not understand some of the present rules. Being careful not to change the meaning of the rules, the subcommittee members elected to change the wording to clarify the rules. Though these changes might be considered by some as not being an actual change of the meaning of the rules, to those people who have misunderstood the rules for years, the clarification may constitute a significant change. Let’s look at an example. Many of the clearance tables in the NESC list one of the conductor identifications as “Open supply conductors, 0 to 750 V.” One example is in the heading of column 4 of Table 232-1, page 77 of the 2002 edition. 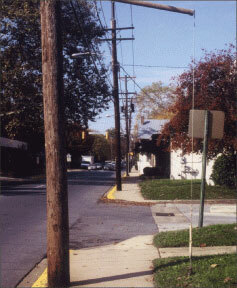 An open conductor is defined in the definitions section under conductor, page 5 of the 2002 edition, as being, “A type of electric supply or communications line construction in which the conductors are bare, covered, or insulated and without grounded shielding, individually supported at the structure directly or with insulators. Syn: open wire.” Similarly, an open “supply” conductor is an electric supply conductor with the same definition. The voltage designation, “0 to 750 V” is usually defined in the header of the table in which the designation is found. In the case of Table 232-1, “Voltages are phase to ground for effectively grounded circuits…” Neutral conductors that are not effectively grounded, fall into the “Open supply conductor, 0 to 750 V” identification. For many years, some users of the NESC assumed that effectively grounded neutral conductors also fell into the “Open supply conductor, 0 to 750 V” identification. That assumption was incorrect. By making that assumption, they were assuming that the NESC in Table 232-1 requires effectively grounded neutral conductors to be a minimum of 16.5 feet above roadways. 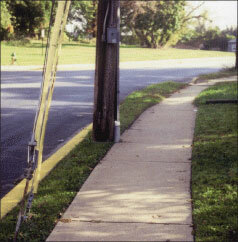 Effectively grounded neutral conductors should be identified as “neutral conductors meeting Rule 230E1” column 2 of Table 232-1, which specifies a minimum road-crossing clearance of 15.5 feet. The clarification coming in the 2007 edition is the addition of a footnote every place the “Open supply conductor, 0 to 750 V” identification appears to remind users that this identification, “Does not include neutral conductors meeting Rule 230E1.” By the way, Rule 230E1 is the definition of effectively grounded. The 2002 edition in Rule 013B2 states that, “Existing installations, including maintenance replacements, that currently comply with prior editions of the Code, need not be modified to comply with these rules except as may be required for safety reasons by the administrative authority.” The 2007 edition introduces a new Rule 013C which requires that the “Inspection rules and work rules of the current edition (2007) of the NESC shall apply to inspection of or work on all new and existing installations.” This was added because some people thought that the new edition inspection and work rules only apply to new construction, not existing installations. Rules 017B and 94B2 have been changed to emphasize the NESC minimum diameter of 0.625″” for iron, zinc-coated steel and steel ground rods. These changes were made because the National Electrical Manufacturers Association (NEMA) Standard GR-1 for Ground Rods was changed in 2001 to reduce the diameter range of a trade size 5/8″” ground rod to 0.555″”– 0.565″”, well below 5/8″” (0.625″”). Unfortunately, when the NEMA standard was changed in 2001, some manufacturers changed the diameters of their ground rods and did not notify their customers. To this day, there are still utilities that do not know they are buying ground rods that do not comply with the NESC. 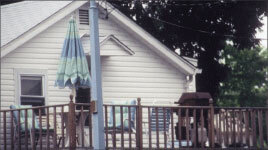 Starting in the 1990 edition, the NESC has addressed the location of structures in Rule 217. Anchor guys are considered part of a structure, and yet the requirement for marking the ground end of an anchor guy exposed to pedestrian traffic with a substantial and conspicuous marker has been hidden in the strength and loading section Rule 264E since the 1977 edition. The Rule was expanded in the 1997 edition to what it is today. For 2007, the requirements have been moved to the clearances section in new Rule 217C where it belongs. Anchor guys located in sidewalks have been a hazard to the public for a long time. Maybe the reason why so many utilities have ignored this requirement is because the rule has not been in the clearances section. I recommend using bright yellow plastic markers with a broad skirt at the bottom to cover the anchor to guy connection hardware. The big question is what does “exposed to pedestrian traffic” mean? Obviously, an anchor guy located in a sidewalk is exposed. How about one two feet away from a sidewalk? New Rule 217C2 (old Rule 264E2) requires anchor guys located in established parking areas to be either protected from vehicle contact or marked. I recommend both because the impact to the electric power supply facilities is very high when an anchor guy is broken. Rule 234C3d has been changed to increase the minimum vertical clearance from 8′ to 10′ for service drop conductors and drip loops over roofs, balconies, porches and attached decks that are readily accessible to pedestrians.